One Reverse Mortgage offers a line of financial products to allow seniors aged 62 or older to leverage equity in their home. The proceeds of a reverse mortgage from One Reverse Mortgage can be received in a lump sum, a line of credit, or in monthly disbursements (called ensure payments). One Reverse Mortgage offers Adjustable Rate and Fixed Rate HECM loans as well as HECM loans for purchase. If you're shopping for a reverse mortgage, check out our guide on our top picks for reverse mortgage lenders by clicking the link below. One Reverse Mortgage borrowers often using funds to pay off debt, pay for unexpected expenses, or as a retirement planning tool. 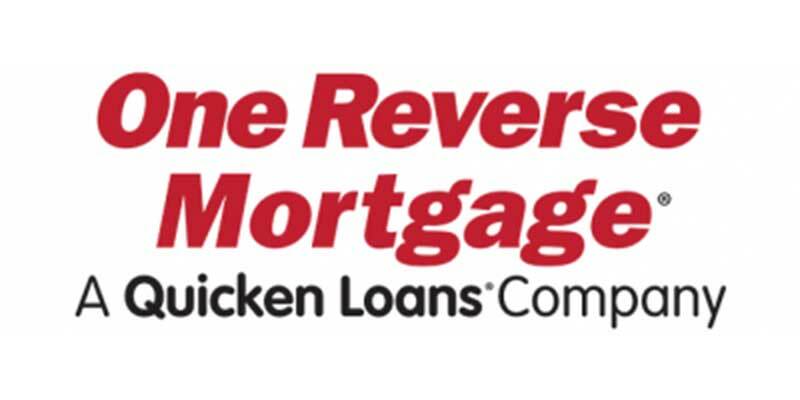 One Reverse Mortgage is one of the fastest growing reverse mortgage companies in the country, and is owned by widely recognized mortgage lender Quicken Loans. The company has a solid reputation for friendly customer service, a smooth and transparent loan process, and it offers a wealth of resources and information to find the product that’s right for you. 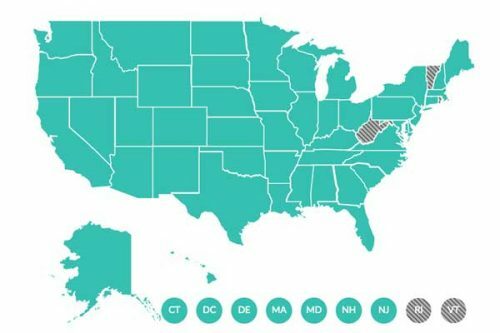 One Reverse Mortgage is licensed in all 50 states and currently does business in every state excluding Rhode Island, West Virginia and Vermont. All of the loans offered by One Reverse Mortgage are federally insured, and therefore highly regulated to protect borrowers. That means the company’s products and fees are in line offerings by its competitors. What sets this reverse mortgage lender apart is the scale of the operation and the customer service. Consumers looking for some extra hand holding during the reverse mortgage process will get it with One Reverse Mortgage. As with any mortgage, there are fees and closing costs that you pay as a borrower during the reverse mortgage process. The FHA limits origination fees, which by regulation cannot exceed $6,000, but otherwise can vary. One Reverse Mortgage has a minimum origination fee of $2,500 or two percent of the first $200,000 of your home’s value, and one percent of the remaining value. Other costs include servicing fees, appraisal fees, title fees and escrow costs. These are all relatively minor charges and, because of additional oversight by the FHA, they differ little from one lender to the next. It’s also worth noting that these costs are typically not paid out-of-pocket but rolled into the cost of the loan. One fee to be aware of is the Mortgage Insurance Premium (MIP). Because a reverse mortgage is a non-recourse loan secured by the collateral of your home, the FHA adds this premium as a way to cover its costs when borrowers’ homes lose value. Most borrowers will pay MIP in two ways: at closing, borrowers will pay about 0.5 percent of the home’s appraised value or the HECM loan limit, whichever is less. During the life of the loan, another MIP of 1.25 percent may be applied on an annual basis. Because interest on a reverse mortgage is not a factor until the loan comes due, the additional interest is added to the loan balance, paid only when the last borrower moves or passes away. This fact makes interest rates seem like a less important factor than they would with a traditional mortgage, but borrowers should take note regardless. As mentioned in the product section, rates can be variable or fixed, depending on the type of HECM you choose. Each option should be discussed carefully with a mortgage specialist. One Reverse Mortgage offers three HECM products, all of which are insured by the Federal Housing Authority (FHA). Depending on the product you choose, loan payout options may be customized to fit your needs. Adjustable Rate HECM – An excellent option for homeowners looking for flexibility. Mortgage loan proceeds are in the form of a line of credit, monthly payments, a lump sum or a combination of all three. The variable rate can change over time with market conditions. Some borrowers choose not to access the funds right away and instead start a line of credit, which can allow assets to grow over time as well. Fixed Rate HECM – If you are looking for cash to pay off a mortgage balance, tackle debt or make needed repairs, this simple option offers a lump-sum payout at a fixed interest rate that remains consistent for the duration of the loan. HECM for Purchase – An option for homeowners who want to relocate or downsize their home, this type of reverse mortgage allows you to access the equity in your current home and use it to purchase a new property with no required monthly mortgage payment. Of course, you will still pay taxes, home insurance and regular maintenance costs. With this option, the loan does not become due until you move, sell the property or pass away. The amount you may borrow through one of these reverse mortgage loans depends on the age of the youngest borrower or eligible non-borrowing spouse, current interest rates, and the lesser of appraised home value, mortgage limit of $625,500 or, in the case of HECM for Purchase, the home’s sales price. Own a home outright or have paid down the original mortgage a considerable amount. Live in the property as a primary residence. Pass a financial assessment that considers credit history, monthly income, current assets and other factors. Participate in a consumer education session with a HUD-approved counselor. Education: This is an essential first step to help determine whether a HECM product makes sense for you. You will receive information and answers from a licensed specialist with One Reverse Mortgage, who will help determine if you qualify. If so, you will take part in a mandatory counseling session with a HUD-approved third party (you can find a list of approved national counselors on hud.gov), to help you understand your options as well as how the loans work. These sessions typically take about an hour, and in some cases are completed over the phone. Application and review: Once you are ready to apply, you can work with a One Reverse Mortgage specialist to complete your application. During this part of the process, you must have a financial assessment to determine whether you can maintain the commitments of the loan. A credit score is not required, but your credit history will be a factor in the determination. You will also need a home appraisal from an FHA-approved vendor. Similar to the appraisal required to get a mortgage for a home purchase, the appraiser will inspect the property and compare it to similar properties that have sold recently in the area. This appraisal will determine the how much money you may qualify for. Once you complete these steps, your loan documents will be reviewed and finalized. Closing and disbursement: Once you sign the final documents and close the loan, you can typically access the proceeds after three days. Any HECM reverse mortgage requires borrowers to complete a free, compulsory consultation with a counselor approved by the Department of Housing and Urban Development (HUD). Nevertheless, a reverse mortgage can be difficult to understand. One Reverse Mortgage adds value by offering resources and educational information for potential borrowers and their family members as well. The company encourages the family to be involved in a loved one’s reverse mortgage decision because it helps everyone understand the products and the process. Online customer reviews of One Reverse Mortgage tend to repeat words such as “helpful,” “friendly” and “easy to reach.” Customers also seem to be happy with the repayment options, and many say they feel they received a good value. Complaints mostly came from consumers who devoted time to the loan process and were ultimately not approved. The company scores 4.47 out of 5 stars based on customer reviews and has an A+ rating with the Better Business Bureau. Does One Reverse Mortgage lend in my state? The company currently lends in 47 states, excluding Rhode Island, West Virginia and Vermont. Do I need to have good credit to get a reverse mortgage? There is no credit score requirement, but One Reverse Mortgage will check your credit history as part of a financial assessment to confirm your ability to pay property taxes and homeowners insurance. Do I need to list my spouse on the loan application? Not necessarily, but you may want to list your eligible spouse. Find this and other smart buying tips in our reverse mortgage buyers guide. Yes. In fact, it is common to use a reverse mortgage to pay off an existing mortgage. Just remember you must continue to pay property taxes, insurance and maintenance costs on your property. Are there any limits on how I can spend the money from a reverse mortgage? If you have a mortgage that needs to be paid off, you must pay that first. Otherwise, you can spend the balance as you choose. Can I lose my home because I live longer than expected? No, you cannot lose your home for living longer than expected. Is credit locking available with all plans? Yes, the CreditLock is a feature that comes with Experian IdentityWorks Plus and Premium versions. What if my home sells for less than the loan balance? In that case, FHA insurance pays the difference. Because a HECM is a non-recourse loan, you or your heirs will never owe more than the value of the home. Will my children have to pay for the loan if I pass away? Maybe. Your heirs have a few choices. They can choose to sell the home, pay off the loan and keep any remaining balance from the sale. They can keep the home, pay the lesser of the loan balance or 95 percent of the appraised home value. They can have the loan servicer sell the property, which is often the choice among heirs who do not want to keep the home and have a higher loan balance than the home’s value. What are One Reverse Mortgage’s credentials? Are they part of any trade organizations? A registered mortgage company, One Reverse Mortgage is approved by the U.S. Department of Housing and Urban Development (HUD) and insured by the Federal Housing Administration (FHA). It is part of the National Reverse Mortgage Lenders Association, listed in good standing as NMLS #2052. One Reverse Mortgage is also rated A+ by the Better Business Bureau. Yes, you must be 62 or older, and a homeowner. Reverse mortgage products are not always easy to understand, so it’s necessary to work with a lender that is transparent and informative at every step of the process. With a long business history and high customer satisfaction rate, One Reverse Mortgage is a lender worth considering. 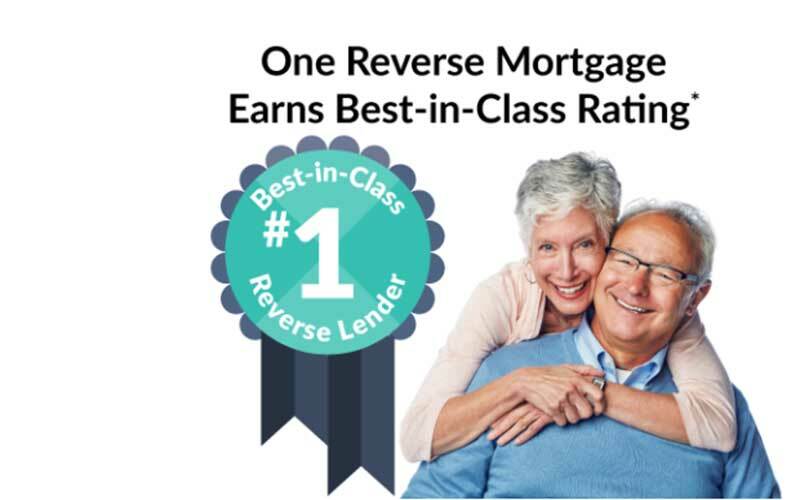 If you are interested in learning even more about One Reverse Mortgage products, you can call to speak with a licensed specialist at (800) 670-2788, or you can download a free educational guide to reverse mortgages by visiting the company’s website and submitting a few personal details. A company representative should be in touch.